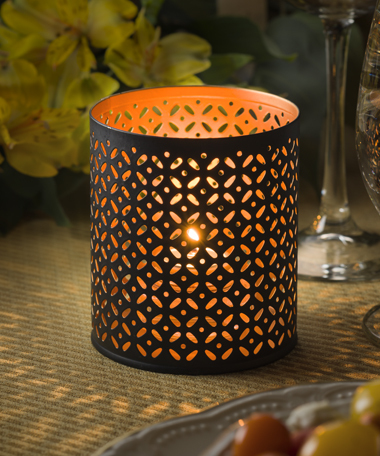 The heart of the black metal Monarch™ lamp blazes in luxuriant gold. The traditional cutout motif is a fitting accent for classic decor. in: 3.6H x 3.15Dia. (mm: 92H x 80Dia.) (Wt. 0.4#) See Prop 65 Lead warning for the State of California.